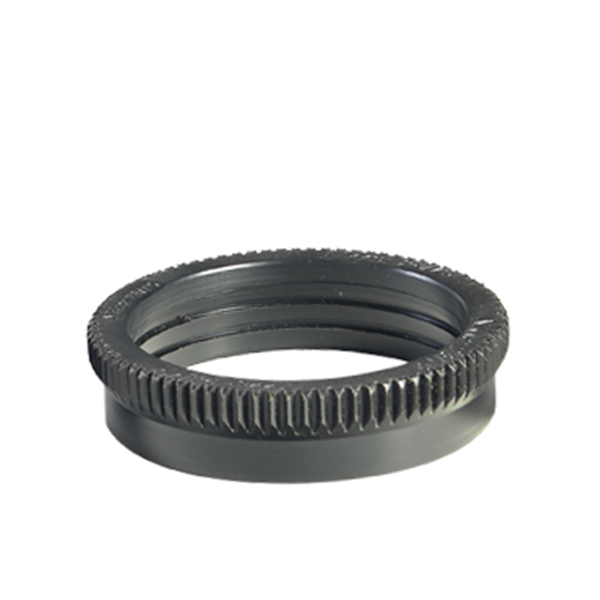 Gear to control the zoom of the Olympus lens in use inside the housing. Built in light but resistant plastic material to protect the lens from damage and featuring dual O-Ring seals to have a better grip. The gear's cogwheel is whole.